The #movement photo contest for everyone to participate. This contest if for everyone to participate. The idea is making a photo exhibition with people's view of people/things in motion. Your photos could be made with your phone or professional camera. It should show movement in the broadest sense. The contest team saves the pictures and publishes them when they fulfill all the conditions. The photos with the most Likes are awarded with beautiful prizes. The exhibited pictures will be available for 10.- Euro / pcs. for sale. Participation is possible until 30 April 2018. You can participate in the contest with up to 5 photos. Please upload your photos in square format. Otherwise we will select a section. Please upload your photo in a maximum size of 10 MB. We recommend 300 dpi. Please provide a brief description of each image. You have to assure that you have the copyright and the resulting rights of exploitation and exploitation of the photos you have sent and that no third-party rights are infringed by submitting your photos. By participating in the contest, you assign us the right of use for your photos, including the right to use them on online media and print products, copying the copyright for the advertising of the contest, without claiming remuneration, printing them and for sale*. * The revenue refinances the printing, advertising and organizational costs. If you wish to delete your pictures before the end of the competition, they will be removed from the submissions. The following is self-explanatory: We value diversity, tolerance and respect for others. We therefore pay attention to the fact that the photos do not depreciate or insult anyone. Shock, hate or violence photos as well as photos, intolerance and discrimination are sorted out .. The legal process is excluded. By participating in the contest, you accept the terms and conditions. The winners of our contest are winning attractive prizes! 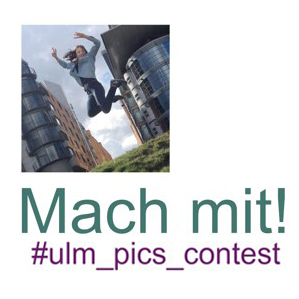 Our main prize: 1 ulm_moves festival pass (free admission to all guest performances of the 10-day ULM MOVES! Dance festival) and 60 € voucher by Foto Frenzel. 1st prize of a category (black / white, abstract, dance, movement, portrait): 2 tickets for a guest play in the Theater, Ulmer_zelt, Stadthaus or Roxy and 15 € voucher by Foto Frenzel. 1st prize category "Children up to 10 years": 2 tickets for the Ballettschulgala on Sunday, 01.07.18 in the Theater Ulm. 1st Prize category "Youth 10-16 years": "Greencard" for participation in the workshop of Maura Morales and attendance at " Tanzlokal " on Saturday, 09.06.18 in the Roxy and 15 € voucher from Foto Frenzel.